So, I was only supposed to read #1-#7 for class (and I think she really meant #1-#6 since that was where the first story arc ended…) but I figured I would read everything that I had so that would have completed the series so far. 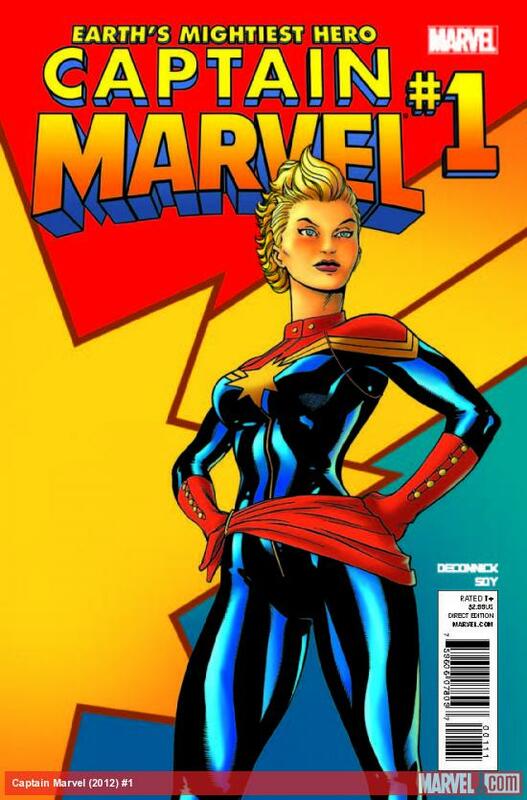 Captain Marvel has been one of my favorite characters/series since I first picked up Issue #9. Even at that point, most people I was following said that it wasn’t worth going back and reading the beginning, that #9 was a good place to start and just to keep going from there. The story before was just too weird. I’m not entirely sure why they said that, now that I’ve actually read the first eight issues. Yes, these were more sci-fi stories than the down-to-earth stuff we have now, but it was still pretty interesting, and really, the time travel story was a fun primer for Carol’s origin. It was certainly a more interesting way of doing it than just showing it to us through some flashbacks. I enjoyed myself when I was reading them! And the robot story was just hilarious. I loved Carol and Monica going back and forth – they are a pretty funny combo.